ATLANTA (AP) — Republican Brian Kemp was sworn in as Georgia’s 83rd governor in front of an enthusiastic crowd on Monday, but state Democrats indicated that they weren’t ready to put the rancorous election behind them. Kemp, 56, took the oath of office at a university stadium before the GOP faithful, state lawmakers, lobbyists and members of Kemp’s Cabinet and family. The University of Georgia Orchestra played patriotic songs and Kemp’s eldest daughter, Jarrett Kemp, 19, delivered the invocation before her dad placed his hand on the Bible and took his oath. 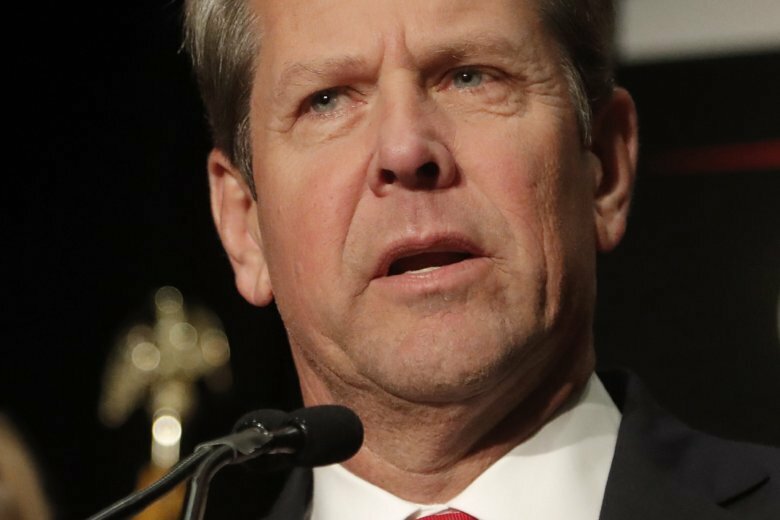 Kemp, who doubled as Georgia’s chief elections officer during his campaign , has vehemently denied accusations of voter suppression, pointing to record-setting voter registration numbers. A political group Abrams founded is challenging the way Georgia elections are run in federal court, alleging “gross mismanagement” under Kemp. Kemp has promised to pursue conservative policies as governor, including tough abortion restrictions and a “religious freedom” bill that critics say would damage the state’s economy by allowing discrimination against gay and lesbian citizens.